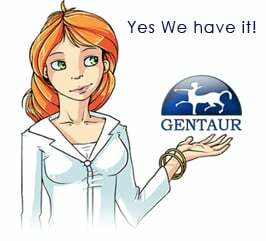 Gentaur antibody-antibodies.com The Marketplace for Antibodies : Lipoprotein(a) binds to fibronectin and has serine proteinase activity capable of cleaving it. Lipoprotein(a) binds to fibronectin and has serine proteinase activity capable of cleaving it. The plasma concentration of human lipoprotein(a) [Lp(a)] is correlated with the risk of heart disease. A distinct feature of the Lp(a) particle is the apolipoprotein (a) [apo(a)], which is associated with apoB-100, the main protein component of low-density lipoprotein. We now report that apo(a), which has extensive homology to plasminogen, binds to immobilized fibronectin. The binding of Lp(a) was localized to the C-terminal heparin-binding domain of fibronectin. Incubation of Lp(a) with fibronectin resulted in fragmentation of fibronectin. The cleavage pattern, as visualized by gel electrophoresis and immunoblotting, was reproducibly obtained with Lp(a) purified from five different individuals and was distinct from that obtained upon proteolysis of fibronectin by plasmin or kallikrein. The use of synthetic peptide substrates demonstrated that the amino acid specificity for Lp(a) was arginine rather than lysine. The proteolytic activity of Lp(a) was localized to apo(a) and experiments with inhibitors indicated that the proteolytic activity was of serine proteinase-type. YSRTMCA2174 raf_1, binds at Phos.serine 233 (NOT resting), Clone Roy_28_1, Rat anti_; WB 0.1 mg.